From the guy that also brought us this, but also this. This entry was posted in lang:en, Muziek, ourTube and tagged bonobo, cows, cyriak, malfunction on 28 August 2014 by frank. This entry was posted in lang:en, Muziek, ourTube and tagged animals in the jungle (sherman), tom vek on 20 August 2014 by frank. Autoptimize comes with a “Add try-catch wrapping?”-option, which wraps every aggregated script in a try-catch-block, to avoid an error in one script to block the others. So given this damning evidence of severe performance degradation, “try/catch wrapping” will not be enabled by default and although Ryan’s alternative approach has its merits, I’m weary of the caveats so I won’t include that (for now anyway). If your site breaks when enabling JS optimization in Autoptimize, you can enable try/catch wrapping as a quick workaround, but finding the offending script and excluding it from being optimized is clearly the better solution. Especially love the acoustic version of Flying Lotus’ “Tea Leaf Dancers” at the 27th minute! This entry was posted in lang:en, Muziek, ourTube and tagged Andreya Triana, bonobo, fink, flying lotus on 14 August 2014 by frank. Turn the volume up to 11 for this one! This entry was posted in lang:en, Muziek, ourTube and tagged charles mingus, jazz on 5 August 2014 by frank. I have always been a fan of Red Hat, even if have never used their products extensively. They were one of the original movers in Linux-market back when Slackware was big and when InfoMagic CD-rom boxes with multiple distro’s were popular. And I have remained a fan because they succeeded in building a solid company built on and around open source & services. So there was something in the mysql database log that set off the scan. […] It looks like mysql may have logged someone’s attempt to inject some bad PHP code into your app. Although php’s exec (and similar functions) can be found [in the logfile], this is always due to … blogposts about web security and specifically this one; http://blog.futtta.be/2007/12/02/php-security-eval-is-evil/. The content of that article was inserted in the DB and [thus] added to ib_logfile. Your scanner finds the content [in that innodb replay logfile] and flags this as a problem. I would think the OpenShift scanner needs some finetuning, [as now] anyone is at risk of having their app auto-removed if the mysql-redo-logfile happens to contain vaguely “offending” strings such as shell_exec? You’re absolutely right that our scanner needs work. So what I’m going to do is get you onto a whitelist so this thing doesn’t flag you again. […] All takedowns are currently on hold until I can implement pre-removal notifications [and] improve our standard operating procedure for this kind of thing. That should give people a chance to tell us that their apps are not malicious, so that we can whitelist others too, if needed. As long as they notice an email saying “OpenShift Terms Of Service Violation” within a few days, I think they should be safe. If they do get flagged as a false positive like your app did, they’ll email us back and let us know it’s a mistake, and then they’ll be added to the whitelist too. Now wasn’t that an interesting adventure? 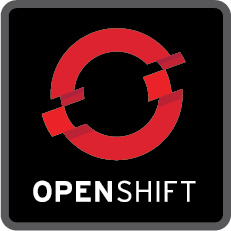 If ever you get a notification-mail from OpenShift related to security issues, check if the problem isn’t with benign content being inserted in the database and if so be sure to contact OpenShift so they can add you to their whitelist. This entry was posted in security, Technology, Web development, wordpress and tagged openshift, red hat on 1 August 2014 by frank.